Posted on 22, September 2016 by EuropaWire PR Editors | This entry was posted in Financial, France, Insurance, Management and tagged COFACE, Fredrik Murer, Xavier Durand. Bookmark the permalink. PARIS, 22-Sep-2016 — /EuropaWire/ — Coface continues to strengthen its senior management team, with the appointment of Fredrik Murer as CEO of the North America region. A member of Coface’s Executive Committee, reporting to Xavier Durand, Group CEO, Fredrik takes over from Juan Saborido. Juan will transition into the newly created position of Senior Advisor to Xavier Durand, after 18 years in various leadership positions in the Coface Group in Europe and in North America. 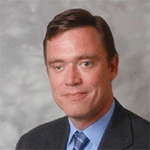 Before joining Coface, Fredrik was Head of Americas, Political Risk & Credit at Ace-Chubb Corporation. Fredrik has had a long and distinguished career in the insurance sector, having held senior political risk underwriting roles in Zurich Financial Services Group (2002-2004), the Chubb Group of Insurance Companies (1997-2002) and the American International Group, where he started his career in 1993. A Norwegian national and permanent US resident, Fredrik holds a Bachelor of Science in Finance from the Kelley School of Business at Indiana University, and a Master of Business Administration from the American Graduate School of International Management.